How do you know how culturally intelligent you really are? How do you measure your CQ? How can you truly understand and improve your personal CQ or that of your team without a baseline? Earlier this month Cultural Synergies launched the worlds only academically validated CQ assessment tool as an extension of our offerings. The launch included guests from a wide range of industries and organisations, from local to global multi-nationals, to not-for-profits, government departments and universities. In my presentation I asked attendees to discuss at their tables one cross cultural challenge that they face in either their current or a past role; followed by a further request toward the conclusion of the presentation asking them to discuss how a CQ assessment could potentially resolve the challenge/s discussed earlier. As I observed the table discussions, I was encouraged by the enthusiasm and conversations that were being generated between people who had mostly never met before, and worked in an incredibly diverse array of sectors. However, there was a certain commonality that pervaded the room, and that was the cultural challenges. When you got right down to it, the challenges were not that different, the contexts were but the fundamental issues were comparable. Whether we teach international students, work in culturally diverse local teams, are employed in expatriate roles or manage global teams we all need to know how to communicate, negotiate, establish trust and relationships and navigate through uncertainty and conflict. We do this so often that we barely give it a thought – that is until problems arise. What is the application? i.e. Does it predict cross-cultural performance in areas such as decision-making, problem solving and client service delivery or does it only measure competencies? Does it offer flexibility in terms of self-assessments, group reports, team assessments, 360°etc? Consider the outcomes – i.e. Does it offer the opportunity for individualised CQ plans? Is it inclusive of feedback and coaching? Is it administered or debriefed by a certified professional? Does it fit with other leadership competency frameworks? Try to embed CQ assessments into skills training and leadership development programmes. The impact will be much greater. 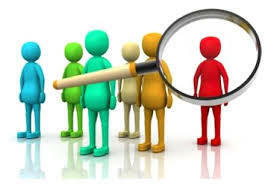 If possible create a connection between the CQ benefits with business and strategic objectives to further enhance participant understanding of how their CQ directly impacts their performance. Let's keep in mind that all tools have benefits, it’s up to us to select the right one for the right task. If you would like to discuss this further, then please get in touch either via email or phone. I would also like to draw your attention to a recently released research paper that I reviewed and contributed to - 'Examining Diversity & Inclusion From an Asian Perspective'. The research contains some really strong data and recommendations to support companies in their D & I strategies and approaches within the Asian context. Have You Measured Your CQ? Published a few years ago now, this is a great read that holds some fascinating stories and really interesting research. The premise of 'The Talent Code' is that our brains can be transformed by the way we approach particular tasks. Coyle asks why some teaching methods are better than others? How do we train our brains in our endeavours to reach our full potential? 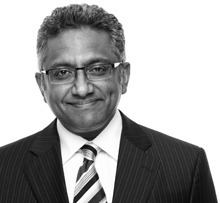 Interviewing top coaches, educators and researchers, travelling to talent hot spots and neurology labs, Coyle describes three steps to transforming our brains. In the development of extraordinary talent visualising and comprehending, repeating and perfecting, and emotional connection are required. He follows a wide range of disciplines from sport to music to demonstrate his claims. The book is deeply affirming of human potential, asserting that we can achieve almost anything we want to if we have the key ingredients. It gives us a new way to think about talent - as well as new tools to unlock our own talents and those of our kids. 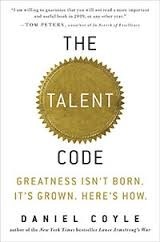 "The Talent Code: Greatness Isn't Born. It's Grown. Here's How." By Daniel Coyle (2009).